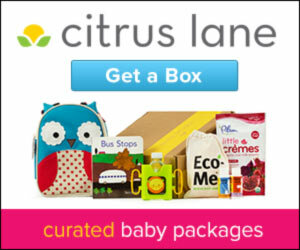 7 Kids and Us: Citrus Lane HALF OFF your First Month Coupon! Have the best, age-appropriate products for your child delivered to your home each month. Perfect for new parents and as a gift.Select the plan that works best for you and your little one. Plans start as low as $21 per month.Tell us your little one’s age (from newborn to 3) so we pick just the right products for your box.We deliver a special box to your door every month...and shipping is free!